Recently, I posted that my biggest frustration is improper focus. If you use a point-and-shoot, the solution it pretty simple. You hold down the shutter button halfway until focus is achieved and then push it the rest of the way down. The only reason you’d be likely to end up with poor focus is, as I said before, you’re shooting in an improper mode. For example, you’re shooting a landscape in macro mode. For us DSLR users, focus becomes another monster all together. 1.} One-Shot – Suitable for still subjects. Press the shutter halfway and the camera will focus only once. If the subject moves or you want to recompose the shot, you must release the shutter and press it halfway again to refocus. 2.} AI Servo – Also known as ‘continuous focus’ on a Nikon, AI Servo is used to keep a continuous focus on moving subjects until the shutter is pressed all the way. The ‘AI’ stands for ‘artificial intelligence’ and the camera uses these algorithms to predict where a subject is about to be. This is the setting to be used in sports photography and I use it with children on the go. Wikipedia’s entry on AI Servo says it so well: “Before servo focus the photographer would generally pre-focus on an area where he/she thought the best action would take place; today he/she can follow the entire sequence of events, and select the best later.” In AI Servo mode, the camera won’t beep once focus is achieved. It just keeps focusing until you decide to take the picture. In my camera (A Canon 7D) there are three AF Areas and it should be pretty much the same in most cameras. 1.} 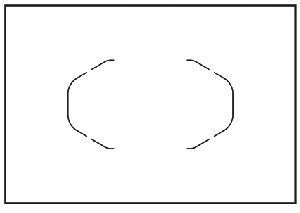 Single Point AF – this selects one spot to be used for focus. In the viewfinder, you’ll see the little square and you press the shutter halfway and the camera will beep to let you know that focus has been achieved. This mode is useful if you often follow the rule of thirds because you can focus on your subject, slowly re-compose the shot and take the photo. Your subject will be in focus. 2.} 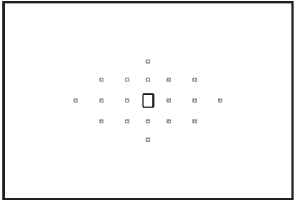 Zone AF – Focus points are organized into five different groupings, and the camera uses one of the points in the group to autofocus. Can be used in the thirds composition as above but offers a bigger area for focus, useful for tighter shots and portraits. 3.} Auto Select 19-point AF – All 19 available autofocus points are used. 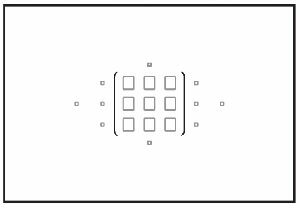 If multiple areas are in focus, all of these points will light up in the viewfinder. This is the mode used in full auto and creative auto modes. Pressing the shutter halfway will display the AF point(s) which have achieved focus. If multiple points are displayed, it means they all have achieved focus. This mode tends to focus the nearest subject. Great for moving subjects. Holy crap! Was that link/video SUPER helpful! (new canon 7D owner) so were MANY other tips. Gave me lots to think about and research further... Trap shooting, single point AF. Also was bothered by author comment regarding prejudice towards AI Focus. I (am new to this) and primarily shoot paintball tournaments and games which includes catching not only moving which all start still till start buzzer before racing from start point - and for more desired and incredibly difficult shots catching a 1/2 inch ball shooting at 20 balls per second second traveling sometimes up to 75+ feet away from photographer (on sideline). Al focus proves to be extremely helpful for the type of shooting I do. More still is the more elusive of catching this small object during the split second it hits another player so you can actually see the paint splattering in the air... Very impressive and a personal goal. - thus I too am extremely interested if canon 7d has this option or something similar or if another type camera which does may also be albe to use the canon lens I also have. Side note to alpha ace - I was in the impression that canon's L series had better glass which can/should make image sharper and "less" fragile. I too had issue in low light where objects were too far to focus on and moving. Did you consider the difference in the canon and nikon lens' f-stop? maybe the nikon was 1.4 thru 2.8. I too experienced problems with slowness when using canon's 24-105 f:4.0 lens in low light conditions especialy when object was further away and moving w/ no external flash. Consider maybe helpful. Thanks again auther and all *55* comment posters -very interesting and informative. I appreciated the artice, however basic it may have seemed to some, the description of the different modes was helpful as a reminder, even though I have read my manual many times sometimes just reading someone elses description makes it clearer!! I've been frustrated with out of focus shots in group photos with my 50 1.8 and am trying to learn why I'm having issues so all the reading I can do will hopefully help me correct my settings and see what is the best way to get all my subjects in focus. thanks!!! THanks for the information. I'm embarrassed to say I never knew what "AI Servo" meant! Based on your description of the Canon autofocus modes, you're not familiar with Nikons AF-A mode that works the same as AI Focus on the Canon cameras. I used to shoot with a Nikon D90 and found this mode to work very well in situations that might change from a static subject to a moving target in the flash of a shutter. So far, I'd say the Nikon system worked better than the Canon AI Focus (I'm using 7D). Just in case anyone is debating on Canon vs Nikon. Can I say, as another one of those tiresome beginners, that I found this information really useful and have re-set my camera. I will try out tomorrow. It is just so frustrating not to capture clear sharpe pictures. Another problem is when you are older and the eyesight is not quite as it was you check the LCD and THINK it looks ok. However it is not until you upload the images to computer that the awful truth is plain to see. Keep up the good work because novices like me really, really need you. Yes, one of the major parts of good focus is the quality of your lens and its compatibility with your camera. The off brand lenses do a pretty good job considering they do not have the proprietary information on each camera made. I find that the Canon L series lenses are worth every penny for my Canon XSi because Canon knows all of the inside knowledge and can build the lenses to work for their cameras. The L series lenses are very expensive but they auto focus very fast and accurately. One other feature of the better lenses is full time manual focus. In low light, I often will press the shutter down half way and then twist the manual focus ring back and forth to find "the perfect focus". I believe this is a short coming of the camera, not the lens. So I manually touch up the focus when needed and get a much better success rate. DO NOT TRY THIS ON A LENS THAT DOES NOT LIST THIS AS A FEATURE!!! Most lower cost lenses must be in auto or manual mode and cannot combine them without damage!!! Let's say that this article is a good reminder for people who expect too much for a short article. You can't learn to get almost perfect to perfect focus by simply reading a 2 paragraph article when there are so much to tell on this subject. As @Rene has listed most of them, I will not list them again. I'm just giving some personal tips with my Canon 7D. So, let's say I'm not a pro (with only 2 years of experience with DSLR). But I still hope these guidelines will be useful for some. Bravo for those who have read their user manual because it was printed on this purpose! I know it's hard and I've read it 3 times (for my previous XTi) to understand part of it. It is useful if you want to take profit of your camera. #2 Get lens with good focusing system. Some people think that having a good camera body is enough to get good pictures. My 7D has a good focusing system but without a good lens with fast and accurate focusing system, it won't work as good. If you can't afford a fast-acurate focus lens, at least try to focus on something in the range of distance so when the time comes to focus on the real subject, it will be faster. If you're not on rush to take your picture, then forget about this preparation. #3 When possible, ask your subject(s) to remain still when you're ready, not too much in advance. People WILL move if you take too much time. #4 Use a tripod and/or a flash in low light/low contrast condition. #5 Maybe a lot of people already know about this trick, but I recently discovered it a few months ago. When you found that it doesn't focus accurately as you wish in AF mode, you may try to use the Manual mode. But, the new thing is to press the shutter half-way with the active focus point on the where you want to focus and try to focus manually. When the subject is on focus, you'll hear a beep sound. It may not work on low-contrast/light condition. Great article. I use a Canon 40D. When I'm shooting portraits I select a corner focus point on one eye of my subject which helps me frame for the "rule of thirds" and get a sharp focus. This really helps when shooting at F2.8 or more wide open when focus gets more critical. thanks for the article, it was a nice refresher and definitely easier to understand than the manual. this is something i'm having the biggest problem with. most of my shots are out of focus. i have the d40x and am very annoyed with having only 3 focus points. most of the time i have to recompose and that will leave me with a blurry picture. i tried manual focus but i just cant see it. if i'm farther away from my object i just can't tell if it's in focus or not, and last time i had my eyes checked they were even better than 20/20. if anyone has any suggestions or links on getting sharp pictures after recomposing i would greatly appreciate it. Great article.. Every little bit of information helps. Great article. I just finished taking over two hundred photos of my Granddaughters Basketball game. Sure wished I would have read this article before that. It would have reminded me about AI and Al SERVO focus. Could have used AI as I was trying to keep up with the action and had to do all of the focusing manually and run the zoom at the same time. Would have taken some of the pressure out of my shooting. Also a Gimbal Mount would have been handy as I shot almost all of my images from a tripod. But what is a photographer always needing, other than information, equipment and subjects. Thanks for the info DPS and to all of the posts. When thinking about communications I always try to consider the capacity for concentration of my audience and what their level of knowledge is. The short article above provided a succinct intro to a subject which I found really helpful - being a total beginner. I am sure that the many other issues raised are already on the site or could be added to to create a useful, fuller article at another time. Also by letting the comments flow and individuals interact on the subject, the issue is brought to life and we can all learn from each others different experience. However if you write all that stuff from the off, most people get turned off and don't get the nuggets. Its so much better to feed small snippets to readers who can then take them on and digest them, and more to the point remember them. "Less is more" as they say. Some of the comments above that are frankly just nasty, sound like intellectual snobbery to me. Thanks for the info everyone - great stuff. I forwarded this to some friends, thanks! i dont understand why there is always someone saying i m disappointed in this article. There is more. If you have more, contribute an article or if u want to know more, continue searching. I found this article useful because I am a beginner. The only thing Im having trouble "focusing" on (please forgive the pun) is that you do not care for the AI Focus Mode. Why is that? My thought is, if you put it in that mode then you have the other 2 modes covered all the time. You don't have to constantly switch back and forth from One Shot to AI Servo. What am I missing here? Why wouldn't one want to just put it in AI Focus and leave it? i thought the article was fine and informative. it doesn't address ALL the things one needs for perfect focus, it only addressed two. i think it's important to look at that information that's here and not what's not. it's impossible to cover everything - just assume we are doing the other things, but maybe not these two. an short article doesn't have to cover EVERYTHING under the sun, but maybe focus on some of the things forgotten, but not all things. if the information works, use it, if not move on. @Nathan - What you said about a prime aperture for various cameras is so true. Each does seem to have one it "likes" the best. Unfortunately, it isn't always the one you can use. I have also noticed with my 18-250mm lens for the Pentax, I cannot shoot at full telephoto. The image is soft. I have to back off a little. @Alpha Ace - Most digital cameras struggle to focus in low light. That's when it's time to switch to manual focus. Just in my experience which does not include every camera ever made. The AF system was kinda slow/dumb when it comes to low light. I think their marketing and R&D department were purposely to push their users to go for L series lens. When I used my friend's Nikon D90 with its normal 18-55VR kitlens , it was fast spot accurately on in low light situation. Canon was totally beaten off in this area. Yep 300D pretty outdated but I took some great images that won competitions and printed them large so not so outdated that you can't get a good pic! Do get a decent lens though, if it came with an 18 to 55mm throw it away or put it on ebay. No I do not believe it has trap focus control, it sounds cool but I have never seen it on a Minolta or Canon and I read the manuals of the ones I have (I am onto my third camera since my 300D about 10 years ago). While I think people should be more positive about people making submissions, the Thumper rule " if you can't say nothin nice don't say nothin at all" Bambi, Disney, I do however agree with some negative comments and do believe we need to hear more from people who really know their stuff. There are a couple of people on here who submit articles when they really do not have the experience. Whereas others (especially the woman who writes really good post production articles, Helen?) are fantastic. With othersI have found myself read the first sentence, scroll down find it is 'her' again and do then hit that little x button. I guess this artilce was so short I got all the way down the comments as well...and saw who wrote it after skimming. I also wonder who writes their descriptions. Thanks for this article, I learn ed a lot spcially in the AF and AI. Before I didn't know what it means. I cant wait to read about the trap focus. God bless! Freedom of speech it's a great thing. However, I wished there was a filter which was automatic that turns off a-holes who have nothing positive or constructive to say. My favorite is when folks COMPLAIN about a topic saying it was no good and that if people read their manuals it would answer their questions, better yet, call people out on their GRAMMAR, GRAMMER, GRAMER, GRAMMIR. C.this is a toughie... don't say anything at all? Can't people just be nice? And then there's pre-focus. On a Canon 600mm, you can set a fixed focus point using the lens. There's a switch grouped with the IO and AF on/off buttons. Kind of like trap focus, I guess. It's good for subjects that AF struggles with. For instance, a tennis ball in flight and passing the net. This great info. I have been shooting my daughters basketball games on the one shot mode because I wasn't for sure what it did. Had noticed the AI mode and wondered what it was for. So, more than halfway through the season, I will use the AI mode. Thank you for this info! I love your info. I have a canon 300D, how out dated is it?? I'm gettin another one, thinking bout the 40D, but dont know enuff about it , does my 300D have trap shoot?? The author neglected to point out another advantage of Single Point AF. It's invaluable for shooting birds and wildlife that might be buried in foliage. I was disappointed in this article because it fails to address all the factors of focus, such as lens type, aperture, and other issues. Even the focusing methods/modes discussed are different in other cameras. As a user of an Olympus, I am better off reading my user manual than reading this article. I recently learned that each lens has a "prime" focus aperture. I've noticed softness in some of my images and learned that changing the depth of field can improve sharpness of the image. An article describing this - and other - techniques to improve focus would be more helpful. I too shoot Pentax and "trap focus" is also known as "catch in focus" and is extremely handy when you know the precise distance to where an object will enter the part of the frame with the active focus sensor. You do need focus control over the lens and the camera independently however. I can't believe this is labeled as an "article" on focus. Yes, there are beginners out there, but you can learn this material by randomly pushing buttons on your camera and looking thru the viewfinder (in 3 about minutes total, subtract 2 minutes if you've read your camera manual beforehand). There are many more in-depth writings on dPS about focus. I am also a control freak and prefer to manual focus. The only time I AF is when shooting action shots which is not often. I agree with you about AI Focus, every time I've tried to use this function, I've had poor auto focus. Great article - my understanding seems refreshed. Thanks! Good article for the basics of the focus settings. One of the things not addressed in the article is focusing when you need to recompose your action shots... you can't always use the AI Servo mode for this if your desired composition moves the focus points off your subject. My D40x is really lacking in AF because its limited to 3 focus points. If the subject is moving across the view finder, I can use AF-S (One-Shot) and usually recompose with pretty good focus, but it the subject is moving towards or away from me, then my only option (with the D40x) is MF because if I use AF-C (AI Servo), the 3 focus points would define the composition of my shots, which is not acceptable. I'm relatively new in the field of photography, but I found some interesting comments here..
Rene - Well said.. I think you surely missed something! Scott - I've never heard of trap focus either, and hoped it was there on Canon! I've got a 450D! But, rendering some justice to this post's title, I think focus is a whole lot of things, and it's quite difficult to achieve it at all times. Practice, and some hard and quick thinking helps. I know I've been hitting up with a little focusing problems lately! Sign me up to the Trap Focus lesson as well. I think we all get comfortable using one particular method. It's great to be reminded of the other options. Coming from a film background, I have never tried anything but single point AF. If needed, I can press the shutter halfway and recompose. I'll switch to manual focus when using lenses that don't support AF or if the camera won't focus where I want it to. I find digital cameras have trouble focusing on non contrasty subjects or in low light as it is. Maybe I should be using the zone or multi focus mode for this? @Scott: Yes please! I'd love to know more about trap focus. Great article!! I think some people forget that there are beginners on here that don't know all the ins and outs of their cameras yet. I found this article to be very useful. I just wish I had it read it sooner. Thanks for the tips. well explained article. Thanks for sharing this useful article. Keep posting. great post, i use AI focus and One Shot. That trap focus sounds very interesting. Would love to know more about it and when you would use that technique. Thanks for sharing. I use AI Focus most of the time. I use trap focus on my Nikon all the time. Works like a champ. Maybe I should write up something on it for the masses. I'd never heard of trap focus... any other besides Pentax?! With respect to the writer, this is a very basic explanation of some focus modes on some cameras but FAR from the "Factors for Perfect Focus". There are MANY other factors to consider such as lens choice including lens quality, range and aperture, correct exposure settings including aperture and shutter speed, available light and metering, and what colors are in a scene when the camera can sometimes have difficulty "hunting" for the subject if the background and subject colors are similar (low contrast). And then there are things like camera shake, hand-holding vs. monopod or tripod and in-camera or on-lens Image Stabilization. Not to mention the use of on-camera or off-camera flash, strobes and sync speed. I'm sure I missed something else! Another point to note. When using an external flash (eg. 580EXII), the red focusing assist beam will only emit in One-Shot or AI-Focus. If using, AI-Servo, you will not get the focus assist. I find it to be very useful for focusing in dark situations especially with lenses that do not open to at least f/2.8. "Al Focus – AI Focus mode starts with normal one-shot focussing (hold the shutter down half way and it will beep when focused) but if the subject starts moving, it will switch to AI Servo mode. Certainly, this is clever of the camera, but Nikon doesn’t even have this option. Why? Your subject is either a living, breathing, moving being or it isn’t. I’m either in One-Shot or AI Servo. AI Focus just seems kind of dumb to this Canon user :)"
That's not entirely true. Nikon's entry level cameras, through the D90 have AF-A, which for the most part does the same thing. You have forgotten manual focus and trap focus. I think we all know what manual focus is but many do not know what trap focus is. On some cameras (pentax, for instance) you can hold down the shutter and manually focus a lens. When an object becomes in focus, the camera will automatically trip the shutter. Very useful.